(Linz, May 16, 2013) A total of 4,071 entries from 73 countries were submitted for prize consideration to the 2013 Prix Ars Electronica. The colorful spectrum of prizewinning works includes a human-machine chorus, the 4-D printer of the future, and cosmopolitan chickens. 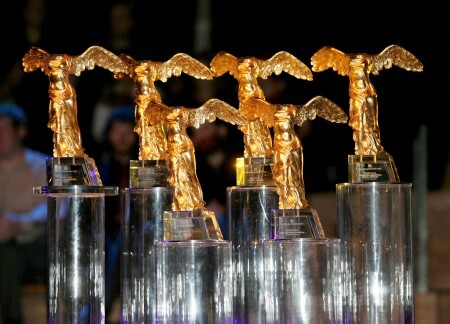 This year’s Golden Nica grand prizes go to artists from Canada, Italy, Turkey), Switzerland, Spain, Belgium and Austria. The [the next idea] Grant goes to visionaries from Brazil, USA, Israel. The Digital Musics &amp; Sound Art category received the most entries (848), followed by Computer Animation / Film / VFX (775), Interactive Art (672), u19 – CREATE YOUR WORLD (652), Hybrid Art (568), Digital Communities (400) and [the next idea] voestalpine Art and Technology Grant (156). The prizewinners will be honored at the Ars Electronica Gala on September 6, 2013 at the Brucknerhaus in Linz, Austria. For the full list of winners, visit the Ars Electronica homepage. Launched in 1987, the Prix Ars Electronica is the acknowledged trend barometer in the international media art scene. Each year, juries composed of well-known experts single out outstanding work for recognition and honor their creators with Golden Nicas, the “Oscars of media art.” The competition’s seven categories celebrate the vibrant diversity of contemporary media art: COMPUTER ANIMATION / FILM / VFX, DIGITAL MUSICS &amp; SOUND ART, INTERACTIVE ART, HYBRID ART, DIGITAL COMMUNITIES, [THE NEXT IDEA] voestalpine ART AND TECHNOLOGY GRANT and the u19 – CREATE YOUR WORLD category for Austrian young people.